Meet your legislated and regulatory obligations with consistent online access to the up-to-date Acts, regulations, guidelines, rules and policies. Get clarity on the confusing layers of legislation and policies with Practice Notes and Quick Guides, empowering guidance tools that will simplify your day-to-day legal compliance management. Link seamlessly and intuitively between the vast array of highly regulated health professionals and health products legislation and policy documentation. 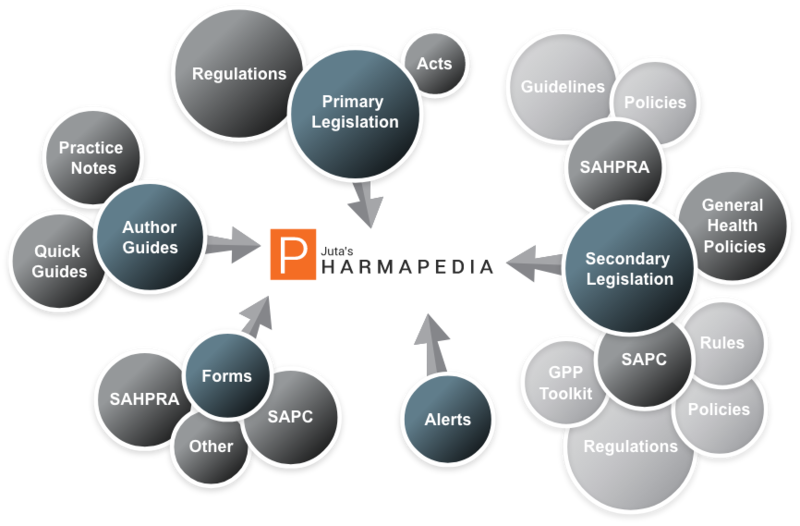 Pharmapedia is continuously updated for reliable content at your fingertips - no filing up of annual loose-leaf update supplements required! Pharmapedia is accessible on your PC, laptop, tablet or smartphone via the internet. More content, choice and value! Three affordable packages allow you to access content according to your needs and budget. Industry and policy guidelines and documentation are incorporated as a free value-added service.